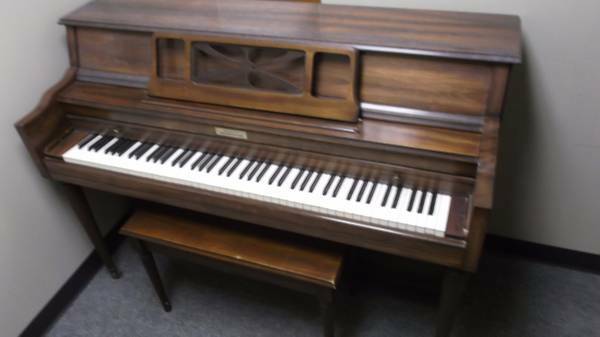 Currier Console Upright Piano, 1972, $299.00 SOLD! Made in the USA, this Currier piano was built in North Carolina. It is 41" high, and has a natural wood finish. Built in 1978, there is still good life left in this piano. Solidly built, comes with matching bench with music storage space, this will be a good starter piano for someone! Brass highlights, too!